Spring and Summer are teasing us here in Utah, but the rain and snow just keep on coming. As it does start to grow warmer, the snow is beginning to melt and you know what that means – potential flooding! 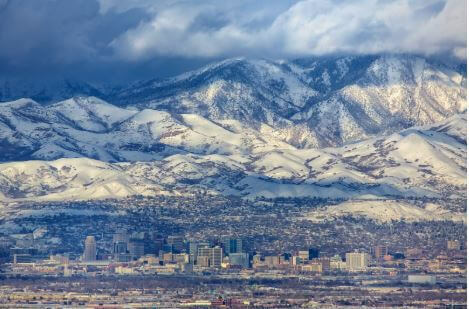 After last year where Utah had its driest year on record, we’re all very grateful about how much rain and snow we’ve gotten, but we do need to be cautious! “Right now, there is well over the volume in the snowpack that would fill that reservoir, even if it was empty,” says Scott Paxman, Assistant General Manager of the Weber Basin Water Conservancy District according to the Salt Lake Tribune. This means we have much more snow than we anticipated! Floods can be unpredictable but there are a few things you can do to be more prepared in case of this unfortunate event! Check with your local council to go over local flood plans and to see if you are in a problem area. Make sure to have those emergency kits on hand! Make a flood plan with the members of your household. Check your insurance policy to see if you are covered for flood damage. Make sure to keep important personal documents or valuables in a waterproof container or safe. And always remember, if you do need any flooding repair in Utah, at RainFire Restoration we are equipped to repair your home professionally, and efficiently. We have the best equipment, and our technicians use standards established by the IICRC (Institute of Inspection, Cleaning and Restoration Certification), to ensure that you receive the best services possible!